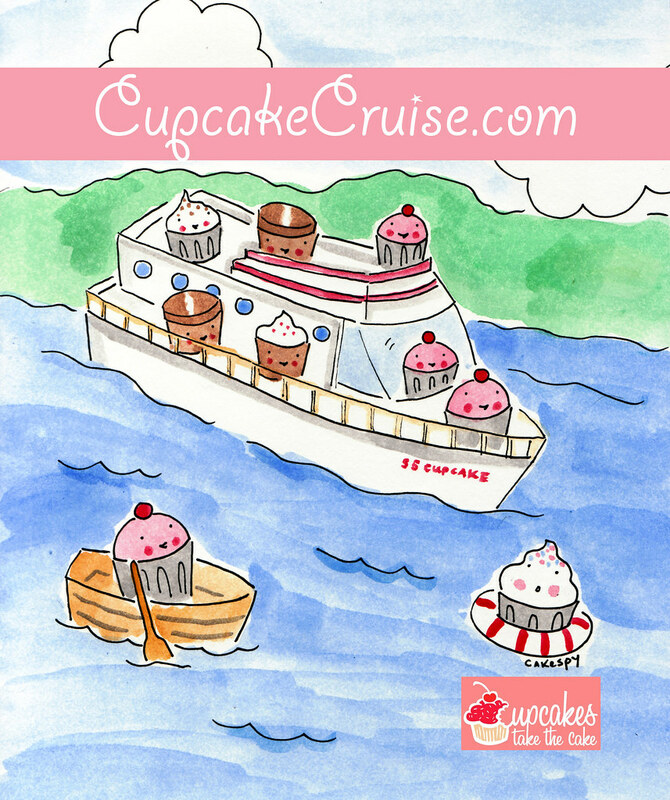 Yes, it's true, we're organizing a Cupcake Cruise to Bermuda and hope you can join us! We are still booking speakers, but we can tell you will have Hello, Cupcake! and What's New, Cupcake? New York Times bestselling authors Karen Tack and Alan Richardson on board to show you how to decorate cupcakes into all sorts of adorable shapes, and much more programming! To be notified when tickets go on sale, sign up at www.cupcakecruise.com. Many thanks to Jessie Oleson of Cakespy for the cruise's beautiful logo (below). Note: All programming is dependent upon attendance and is subject to change. Please sign up to be notified of further details and ticket purchasing. If you have any questions (or suggestions), you can email us at cupcakestakethecake at gmail.com and put "Cruise" in the subject line, but the best way to stay updated is to sign up at cupcakecruise.com.